Saturday afternoon we met up at Tilles Park out in Brentwood, MO. I took my camera out there and couldn't believe all the shots I had taken over the course of the event. Over 400 and as you can see everyone had a great time. Afterwards I went home and crashed! 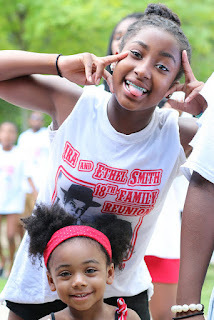 The next Smith Family reunion is in Washington D.C. Until then!